Large Wildfires Incidents is a post for any wildfire at 25,000 acres and over. Here our compiled list for Tuesday, July 18, 2017. | These fire are across the United States. This complex consists of the Roosters Comb Fire (218,380 acres. 100% contained) + 3 other Unnamed Wildfires. They are located 50 miles North of Battle Mtn in a remote and logistically challenging environment for fire crews. The Cornucopia + 4 Midge Fires are both in patrol status. Snowstorm Fire’s behavior is active, running and flanking. About 116,934 acres for this fire alone has been burned. A Firefighter walks in the black on the Roosters Comb Fire. 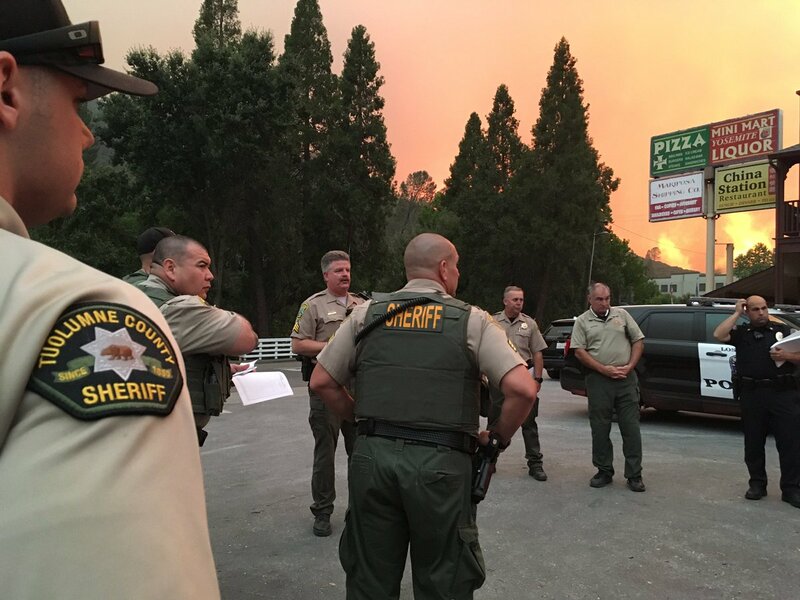 Collectively, this wildfire has scorched 155,502 acres and is 60% contained. Fire behavior is moderate with smoldering and some active fire behavior in various areas. 606 personnel are assigned. Lightning was the cause. The Brianhead Fire has been burning for a very long time and has consumed up to 71,673 acres with a containment status of 96%. It is located about 1 mile North of Brian Head in Utah. There is still 79 personnel assigned along with 2 crews, 3 engines and 1 helicopter, though the fire has a minimal fire behavior. 26 structures have been completely lost. The fire suppression and containment costs-to-date have reached an all-time of $36 Million. The Long Valley Fire is located is about 2 miles North of Doyle, California and 50 miles North of Reno, Nevada. Fire was wind-driven today with winds gusting up to 44 mph. However, there was little to zero fire activity. Approximately 83,733 acres have been scorched. 57% containment has been reached. The fire started on 7/11/2017 from an unknown cause that is being investigated. 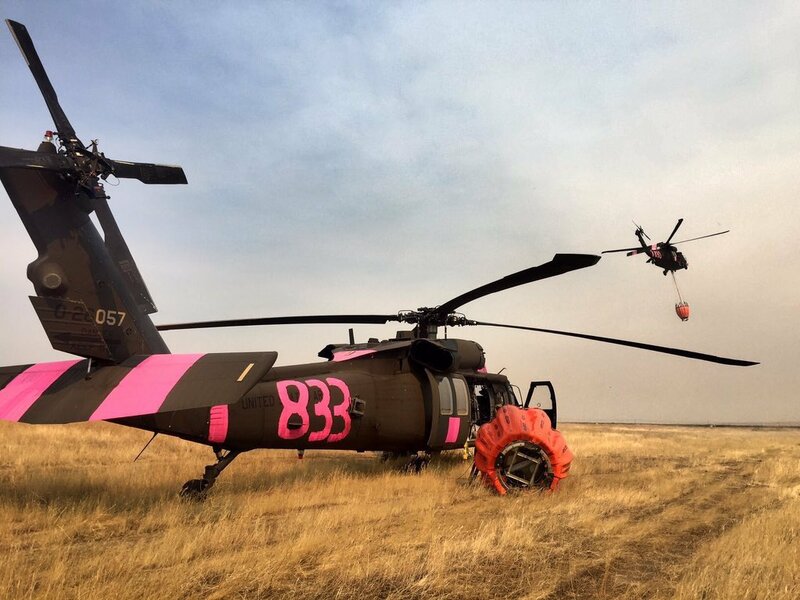 There are 896 personnel assigned along with 47 engines, 9 helicopters, 13 dozers, 15 water tenders and 25 crews. The Garza Wildfire is burning near Avenal in California that began on an unknown cause on July 9, 2017. 48,889 acres have been burned but crews have reached a 97% containment status. There are still 625 personnel with 21 engines, 16 crews, 2 helicopters and 5 water tenders. There has been 1 reported injury. We are unsure if it is a firefighter or a civilian casualty. The Frye Fire is burning in the old burn scar of the 2004 Nuttall Complex Fire, which is located on both the North and South of Mt. Graham on the Safford Ranger District in the Coronado National Forest in Arizona. Pumpkins (portable water tanks) are placed strategically near summer homes as part of Fire crews tactics to protect structures aka structure protection on the Frye Fire. There has been 48,443 acres destroyed but there is almost a line around the whole fire reaching today a 93% containment status. There has been minimal fire behavior. Stopped by a wall of flames on the Frye Fire. Lightning passed over the Onaqui Mountains on July 16, 2017 @ 1700 hours causing several wildfires under this complex. No names have been given to the wildfires so we are collectively reporting on the complex only. Fire fuels include Grass, sage and pinyon-juniper. Onaqui Mtn Complex fire photo taken on 7/16/2017. 35,153 acres have been consumed but fire crews have successfully reached a 45% complete partially around the wildfire. 325 personnel are assigned. This fire is burning on Utah’s Department of Forestry Forest State Lands. 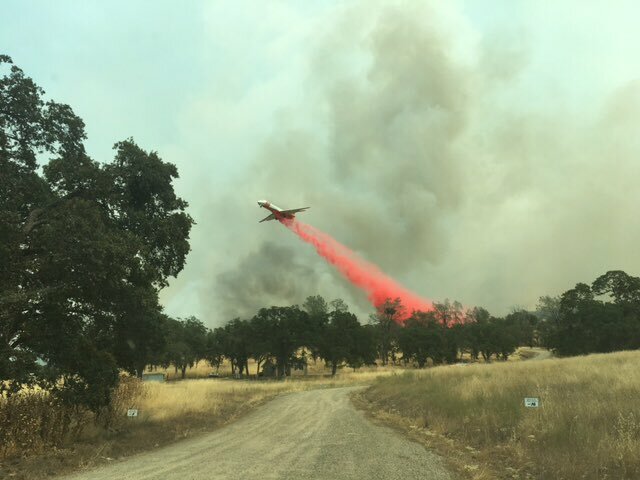 CAL Firefighters and other Agencies are battling a firestorm about 2 miles East Lake of McClure (Mariposa County) in California. The town of Mariposa is in the process of evacuating the whole town with up to 1,500 structures currently under direct threat. 25,000 acres have been scorched while the wildfire is racing out-of-control to nearby towns. There is a 5% containment reached by fire crews. Evacuations are in effect. Red Cross has several shelters open. There are 1,405 personnel assigned along with 217 engines, 35 crews, 9 airtankers, 11 helicopters, 35 dozers and 26 water tenders. The fire is burning near the Central California Reservoir. Fire behavior has been reported as extreme and aggressive with active crowning, short-range spotting and uphill runs. Check us out on our Twitter Page at @nwfireblog and on our Official Facebook Page! All #FireImages are the rightful owner and we have given them full credit to the best of our abilities. Most images are the courtesy of Inciweb, unless specifically noted. We do not claim any rights to these photos – only the content.